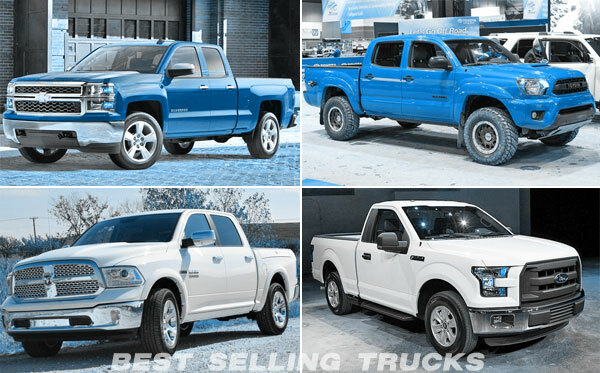 BEST SELLING TRUCKS. Vehicle sales figures in general, prove the good moment in the US economy. The US economy is going through a very good time and this has been reflected in the July/2015 vehicle sales which have experienced one of best moments so far this year. On this occasion, we want to talk about sales in the segment of working vans and pickup trucks, whose sales increased an average of 31 thousand units, in other words, 16% more compared to the same month last year. Thus, total sales of pickups in America were in the range of 221,228 units the last month of August. The famous Ford F-Series continues dominating the sales in the US thanks to the excellent features that it includes, among them are the heavy duty aluminum body and military grade as well as the steel frame. Also, its towing capacity of 12,200 lbs, is one of the best in its class, along with its load capacity of 3,300 lbs. To this, you may also add the excellent power-to-weight ratio in all models that help the trucks to achieve better performance. 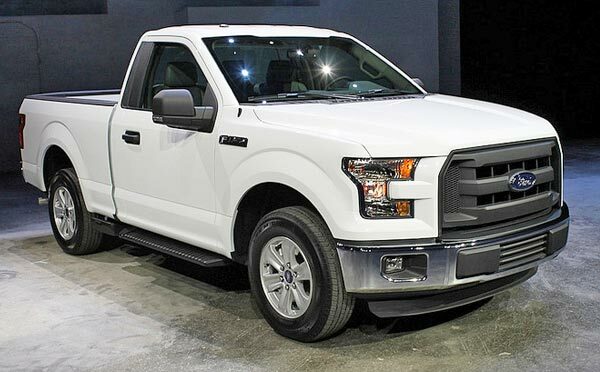 The F-150 Series trucks start from $26,030. 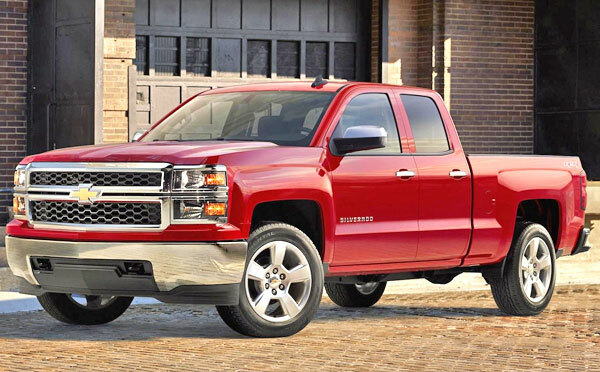 In 2nd place of the top 5, is the famous pickup truck from Chevrolet, available in three models, the 1500, 2500HD and 3500HD, whose prices start from $25,575 up to $37,765, depending on the trim version. Also, according to the model type, the Chevrolet Silverado can be powered by a 6.0L V8 Vortec SFI engine or a 6.6L V8 Duramax turbo-diesel version. 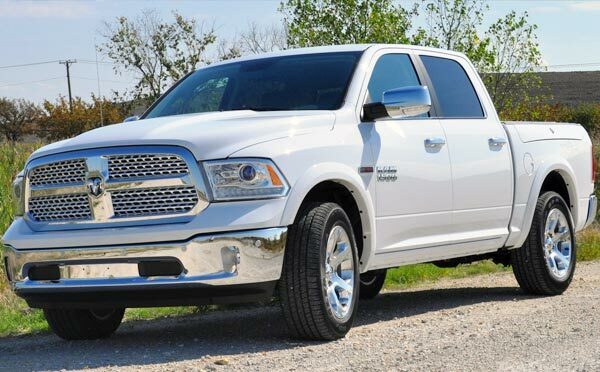 The brand, whose emblem is the figure of a ram, ranks third in this top 5 with its powerful pickup truck for which offers a limited powertrain warranty of up to 5 years or 100,000 miles. The 2015 Dodge Ram is available in four base models: Tradesman (starting from $25,660), SLT ($30,585), Big Horn ($31,490) and Lone Star ($31,490). The engine includes the impeller Ecodiesel of 3.0L, a V6 from the Pentastar family V8 and the omnipotent 5.7L V8 HEMI MDS. The luxury pickup truck of GMC falls into the fourth place because of its features that include a new front face with new grille and new headlights with LED lighting in the form of "C". This was also applied to the fog lights and the subsequent optical units. 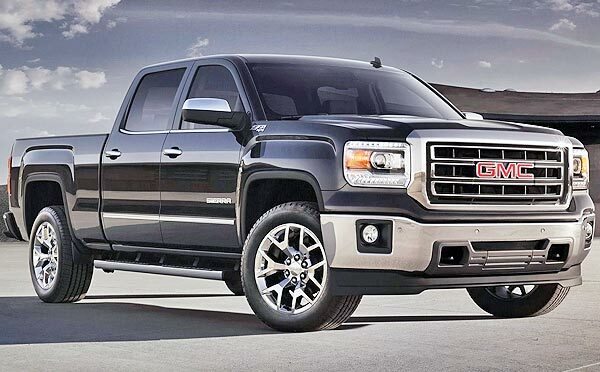 The new GMC Sierra is available with V8 or EcoTec3 engines as well as trim versions such as the 1500 (starting from $26,670), 2500HD ($33,195), 3500HD ($34,295), 1500 Denali ($49,665), 2500 Denali HD ($53,000) and the 3500 Denali HD ($52,985) which is the most expensive and luxurious of all of them. 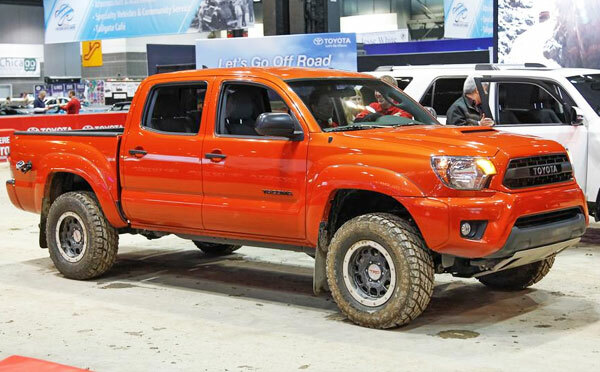 The new generation of the award-winning pickup truck from Toyota, was presented at the 2015 Detroit Auto Show, showing off a new more robust and aggressive exterior design in which stands out the bigger grille and a larger number of chrome elements. In the new 2016 model, the Toyota Tacoma also introduces a new set of lights with magnifying glasses and daytime LED-based lights. Aesthetically projects a look aimed to the hard-work and strong emotions. Currently, the Tacoma is available in three different versions: Double Cab (from $23,075), Access Cab (from $20,965) and TRD Pro (from $35,725). The base engine is a 4.0L DOHC 24-valve V6 with VVT-i technology that develops 236 horsepower.